The T2K ND280 near detector characterises the beam of neutrinos created by the J-PARC proton accelerator by sampling just a handful of the billions fired in bullet sized packets. 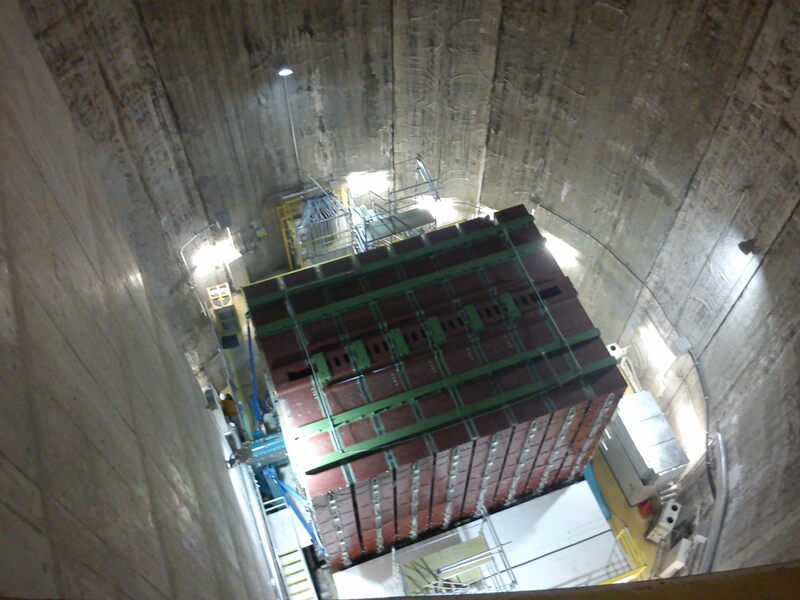 The beam then travels on to the Super-Kamiokande detector 295km to the west where is is sampled a second time. To understand any underlying physics we must understand the regularity and way in which neutrinos interact with the world around them. Knowledge of some types of neutrino interaction and their rate, at energies used in the T2K beam, is patchy at best – and this is where the ND280 near detector comes in. ND280 samples the neutrino beam, measuring and characterising how they interact. It also builds up an accurate picture of the type and energy of the neutrinos that are making the onward 295km journey to Super-Kamiokande. For my PhD I conducted a study to finalise the design of the π0 electromagnetic calorimeter (P0DECal), one of the sub-detectors of the ND280. I also authored software to reconstruct the path of and identify the type of particles in the P0DECal.